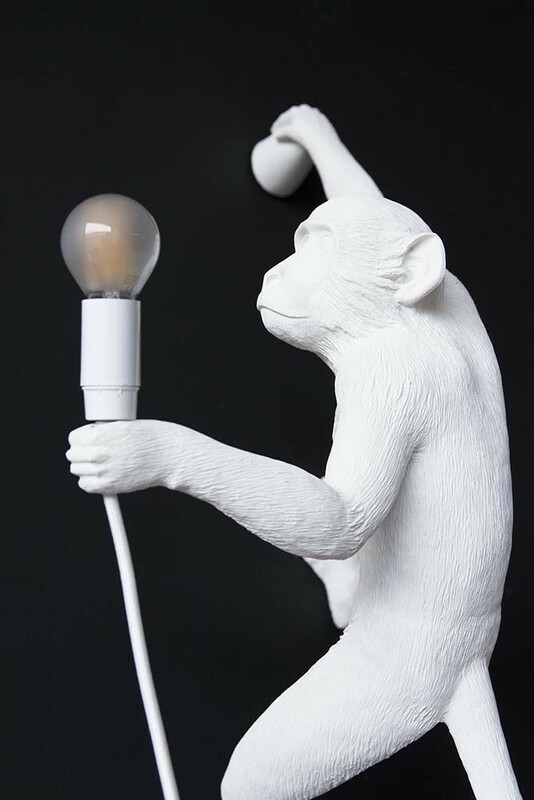 Embrace the kitsch quirkiness of this cute Hanging White Monkey Wall Lamp. 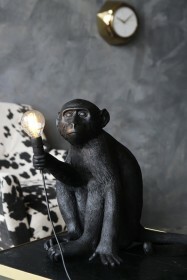 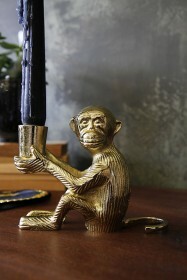 Crafted from resin and holding a bulb, this charming monkey will boldly light the way in your home! 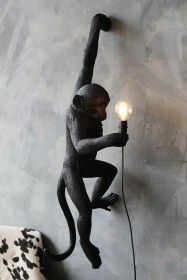 Transform your interior with this whimsical Hanging Monkey lamp available hanging right or left handed. 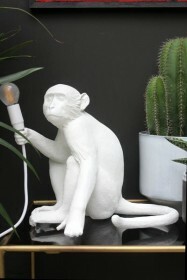 Fix to the wall in your hallways or bedrooms for not just a lamp, but a fun piece of art in your home. 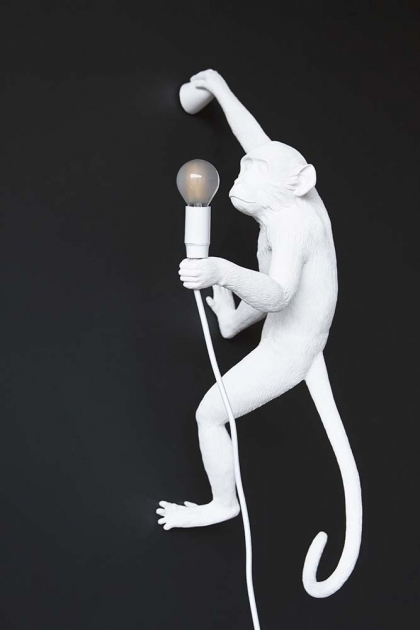 Bulb (included): E14 4W LED 230V – 50 Hz – 350 Lumen.